“Claire,” as we call her, is due as a First Freshener in Spring 2019. 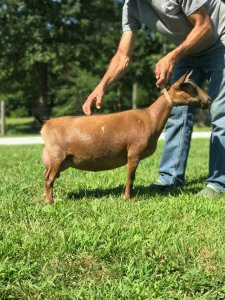 She is sired by the 2017 ADGA Premier Sire, Old Mountain Farm Keidan Quinn. 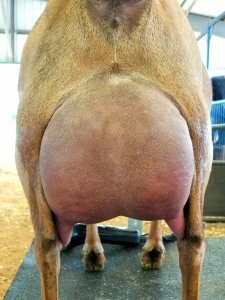 Below is a picture of Claire’s Dam, Wood Bridge Farm Bless her Hart’s First freshening udder.